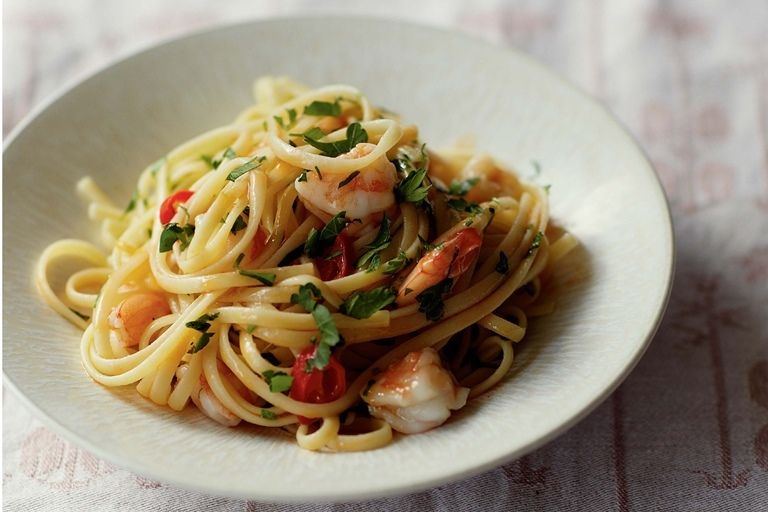 Francesco Mazzei serves up one of his favourite southern Italian dishes, linguine with prawns, lemon and parsley. Perfect for a quick after work dinner, this delicious pasta can be made in just twenty minutes. This recipe is taken from Francesco Mazzei's book, Southern Italian Cooking (Penguin Random House, November 2015).